design, internal chamber layout, and double-sided vane. Vane actuators use pneumatic or hydraulic power to open, close, or modulate quarter-turn valves, dampers, louvers, as well as for precise movement of ergonomic lifting equipment. Linear motion gas/hydraulic cylinder or piston actuators use gears to convert linear to rotary motion. Vane actuators employ a rigid vane inside a sealed chamber that is connected directly to the drive shaft at one end with no gears. The result is much smoother rotary movement and greater cycle life. Vane actuators operate by introducing a fluid or gas to either side of it's enclosure through inlet/outlet ports, creating the force required for movement. Advanced vane actuators utilize double sided vanes that allow for pressurization of both sides, allowing for bi-directional movement. The vane itself provides an arc movement in the far side (opposite the shaft) of the actuator, translating rotary movement back to its integrated shaft. 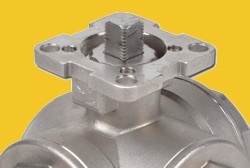 The vane actuator shaft is designed to connect directly to a device (valve, damper, ergo mechanism) for the transfer of movement. In advanced design vane actuators, the shaft is completely sealed from the pressurized side of the vane via “lip seals” which act to prevent the loss of air/gas/oil through shaft seals or bearings. With the help of spring steel supports, the lip seals are kept in constant contact with the inner surface of the chamber wall at all times during rotation. A side benefit of lip seals are the self-cleaning or sweeping action they provide to the inside chamber surfaces. Since the double-sealed vane separates the vane actuator chamber in two sides, movement in either direction can be changed merely by creating a pressure differential on either side of the vane. Inlet/outlet ports allow for the pressurization and de-pressurization for either side. As gas or fluid is introduced to one side, the vane is forced away, toward the opposite side. By reversing the pressure and vent ports, and pressurizing the opposite chamber, the actuator moves in the opposite direction. When vane actuators use only gas or fluid as their source for movement in both directions, they are referred to as “double acting”. When an optional spring is used to provide the power in one direction (open or close) they are referred to as “spring return”. 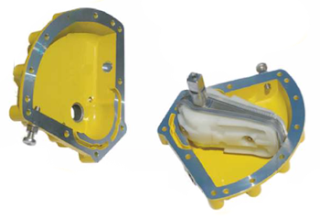 The optional Clear Cone provides all round high visibility position monitoring on all limit switch boxes and positioner models. A red/green colour coded monitor is sealed inside a robust, clear polycarbonate cover. Positioner models are marked with black printed legible angle scales. 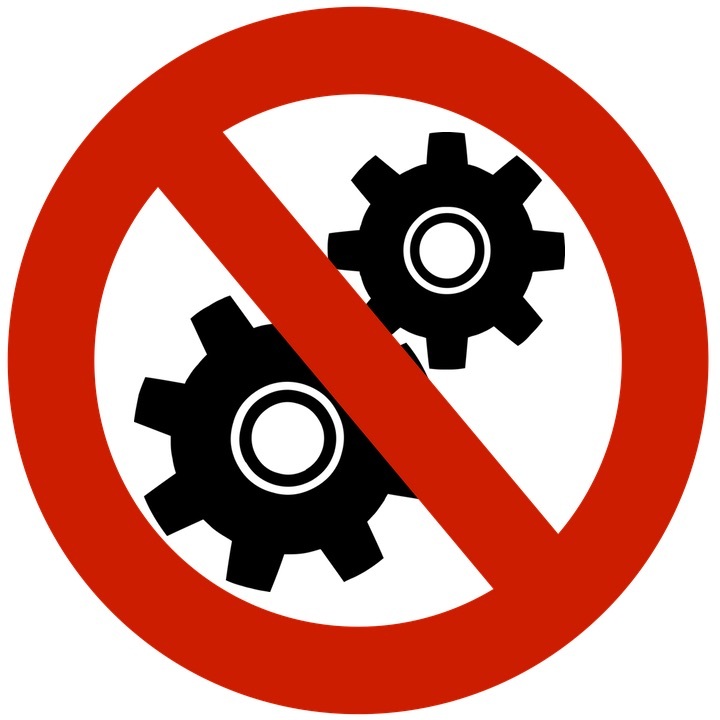 ISO 5211 is a European standard that specifies requirements for the attachment of part-turn actuators, with or without gearboxes, to industrial valves. A standard interface between actuator, valve, solenoids, and positioners provides many benefits. Actuated valve assemblies are installed in a very wide range of applications and operating conditions resulting in many custom designs. Understanding the connection between these components is critical for long life, safety, and performance. A standard mounting / connecting device lowers inventory costs and allows for faster maintenance and repair. Standardization also allows for the replacement of brands, so long as both adapt to the standard. Finally, using industry standard adapters maintain consistent specifications and tolerances which improve performance by reducing hysteresis and mechanical wear. Kinetrol manufactures an ISO adapter for its models 02, 03, 05, 07, 08 and 09 which allows for mounting ISO 5211 valves directly to standard Kinetrol double acting actuators. For more information about Kinetrol's ISO adapter, please review the document below.